Three slices of pineapple, 2cups of ice and a tsp of sugar. The pineapple was a bit sour so blitzed a bit of sugar first then mixed in pineapple and ice blitzed about 30 sec to 1 minute at sp 10. 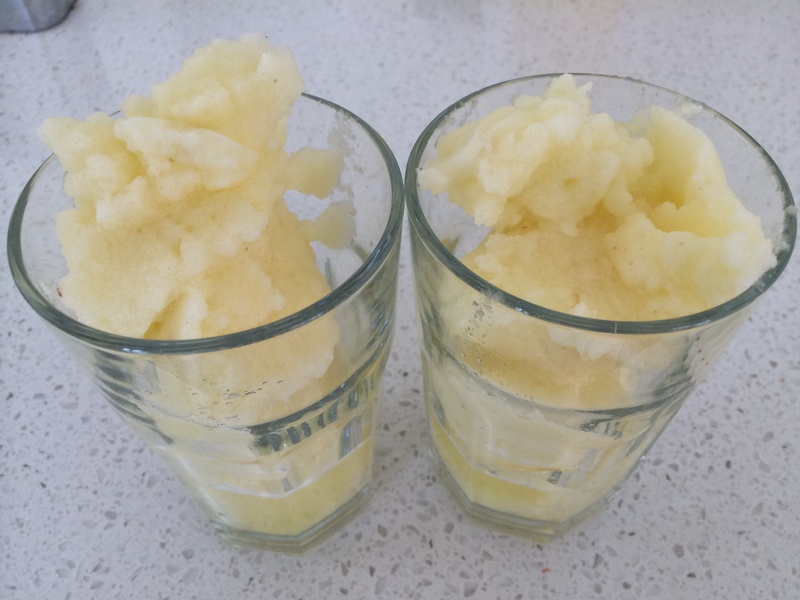 Making our own sorbets is very easy and great for cooling down the kids after school.